Many people often feel inundated with bills depending on the time of year. The fall is when heat needs to be used and the summer is when air conditioning is needed. 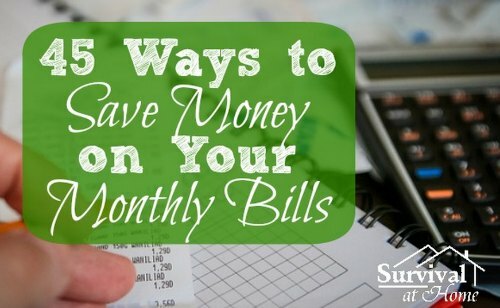 Various tips are available that may allow you to save money on monthly bills. However, many tips will require some sacrifice and willpower. Steps can be taken to help you lower energy use to save money on monthly bills. The energy used in a home is based on many factors, including preference and comfort. If you set your thermostat lower in the winter and warmer in the summer, then you will be using less energy. The ideal option is to use a programmable thermostat. Another way to save money on monthly bills is to adjust communication options. If you do not use the hard phone line for your home, then canceling is a great way to lower your phone bill. The hard line used in most homes typically costs about $30 or more each month. Many people have a mobile phone and will still be able to make and receive calls. The insurance you pay for a car, a home, or apartment can often be lowered to save money on monthly bills. You need to examine your policy and see if there are areas where changes can be made. One area where savings can be achieved is the deductible. Selecting a higher deductible has huge impact that will allow you to save money on monthly bills. Refinancing your mortgage to a lower rate will also help you save money on monthly bills. You should check with your bank or mortgage company to see if refinancing is a good option. The best thing for you to do is compare rates and go with a different company that offers a better deal.